Hunte received his BS and MS degrees in physics from Florida Agricultural and Mechanical University. He was a postdoctoral researcher and a visiting assistant scholar/scientist at the Applied Superconductivity Center within the Magnets and Materials Division of the National High Magnetic Field Laboratory at Florida State University before joining the NC State faculty. 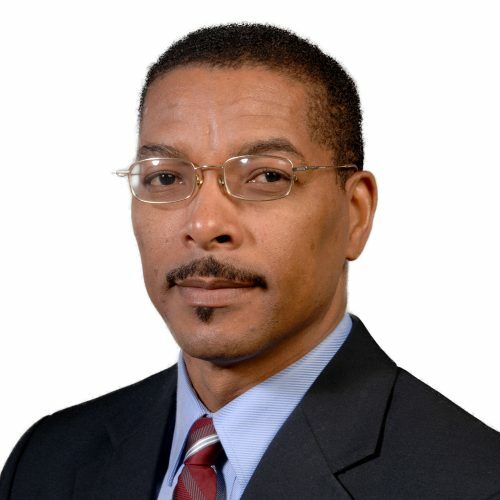 Hunte joined the Materials Science and Engineering faculty in January 2011. His research investigates magnetic materials and thin film heterostructures including semiconductors and superconductors, processing methods, functionality and operating environments (thermal, mechanical, electromagnetic), from basic materials physics to technological applications. He is currently focused on ferromagnetic semiconductors which retain ferromagnetism at room temperature and memristors. Hunte also studies the relationship between magnetism and superconductivity in the family of unconventional multiband superconductors known as ferropnictides where magnetic correlations appear strongly. Kumar, R., Brom, J. E., Redwing, J. M., & Hunte, F. (2015), Journal of Applied Physics, 117(6). Lee, Y. F., Kumar, R., Hunte, F., Narayan, J., & Schwartz, J. (2015), Journal of Applied Physics, 118(12). Punugupati, S., Narayan, J., & Hunte, F. (2015), Journal of Applied Physics, 117(19). Singamaneni, S. R., Punugupati, S., Prater, J. T., Hunte, F., & Narayan, J. (2014), Journal of Applied Physics, 116(9).